A creative design from our collection of under the seal wall stickers for those that love diving and exploring the sea. Do you love scuba diving? Would you love to explore the ocean and its mysterious creatures? Or do you simply love the sea life? If yes, then you will love this awesome design! Personalise any space at home or any smooth surface. 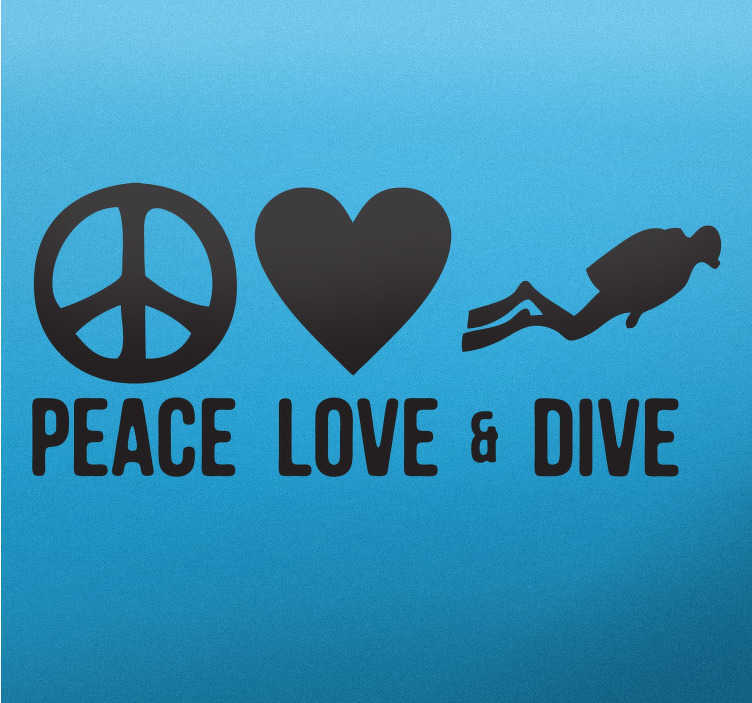 This peace, love & dive design is available in over 50 different colours and various sizes. Easy to apply and remove.